If you plan a trip to Romania, you’ll find out about the castles especially about Dracula’s Castle. 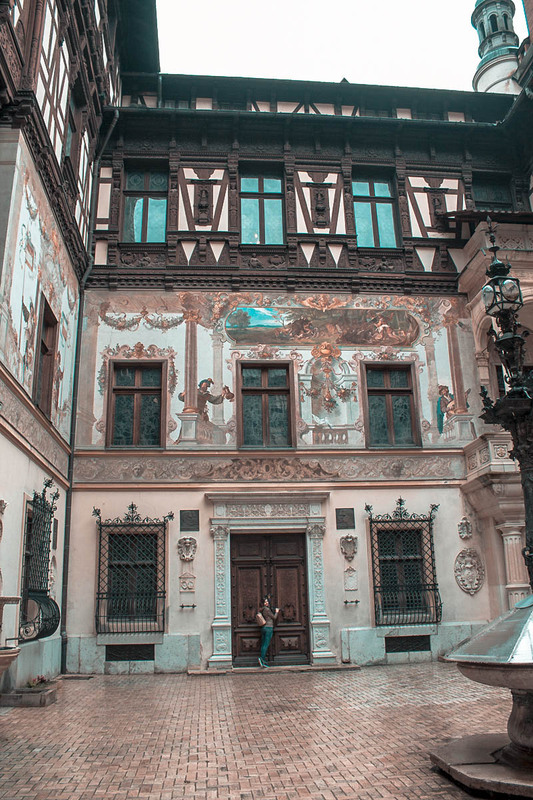 Or maybe you’re going to visit this country because you’ve heard already about Transylvania – the mysterious land filled with dark mountains, creepy castles and fogy forests full of bloodthirsty vampires, flapping bats and howling wolves and you’re curious like us to go and find out where Graf Dracula lived? Yes, going to this castles is totally worth it. 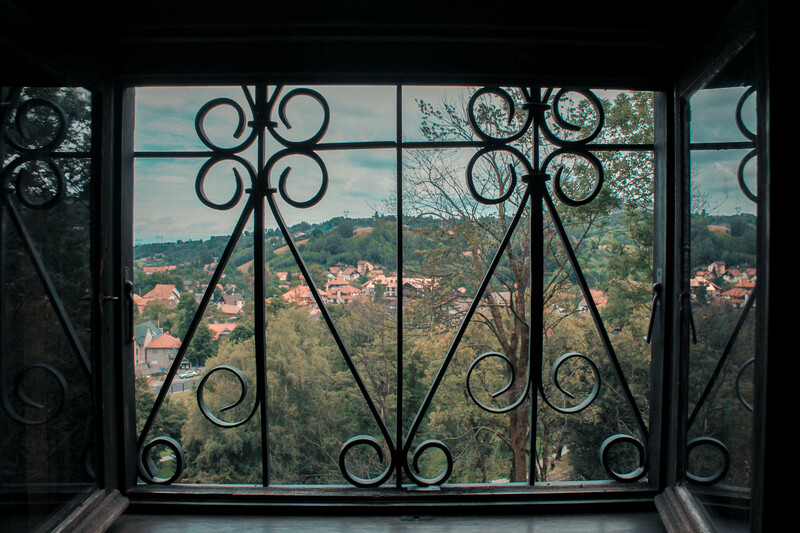 There’s also a third castle near Peleș, a lesser-known one but also very beautiful and worth visiting. 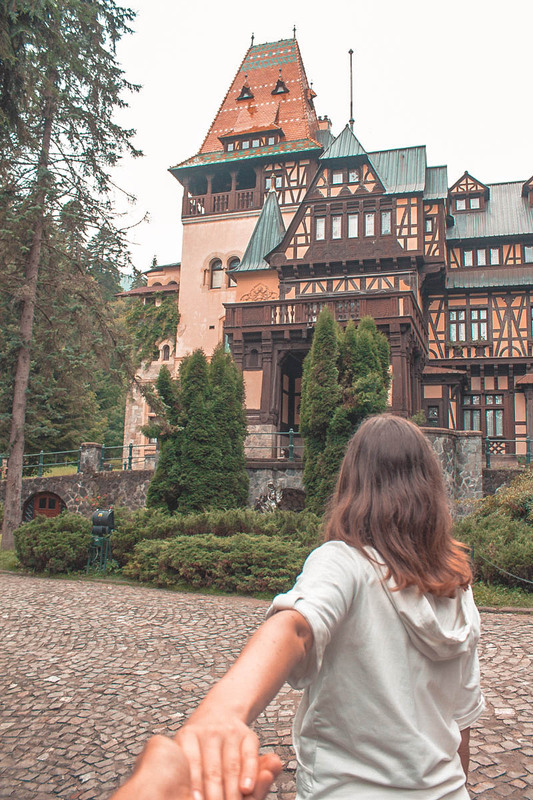 The both castles we visited Peleș Castle and Bran Castle are completely different from each other, but both very beautiful, significant in Romanian history and are a must-see while visiting Romania. So let me introduce them to you. This castle left us really speechless. 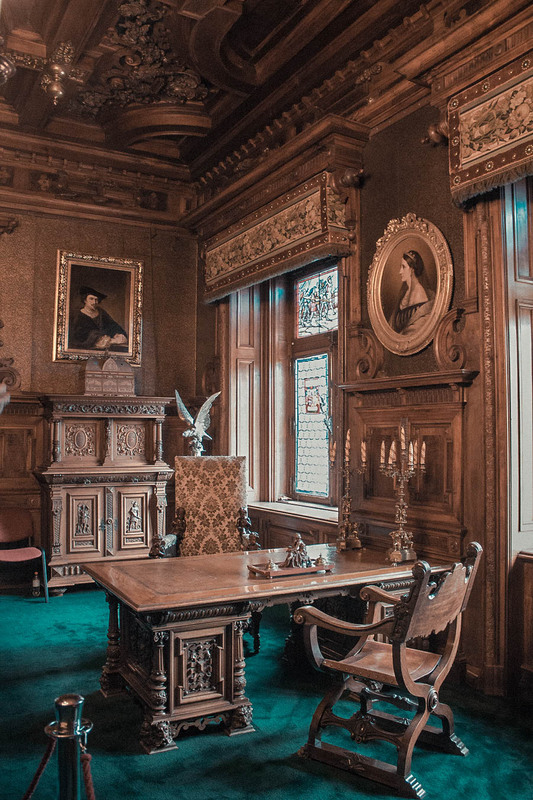 It’s the most beautiful and impressive authentic castle we’ve ever visited in Europe. 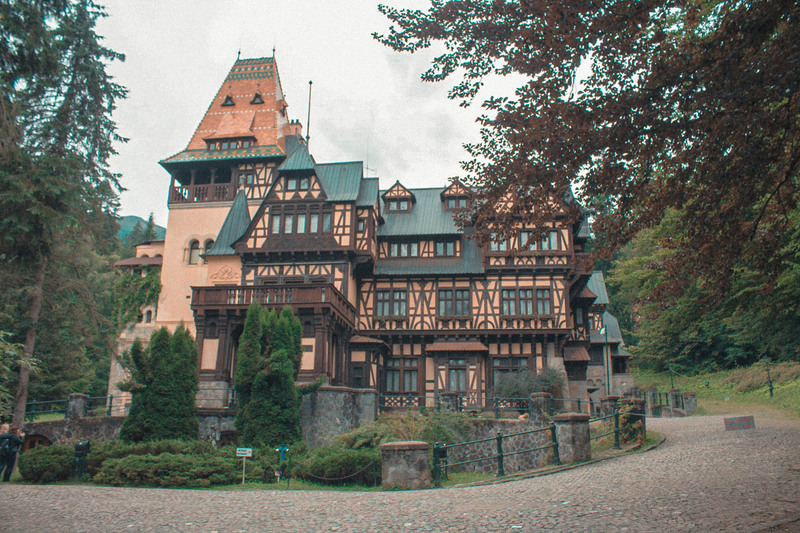 Built between 1873 – 1914, Peles is a Neo Renaissance Castle nestled in the Carpathian Mountains. 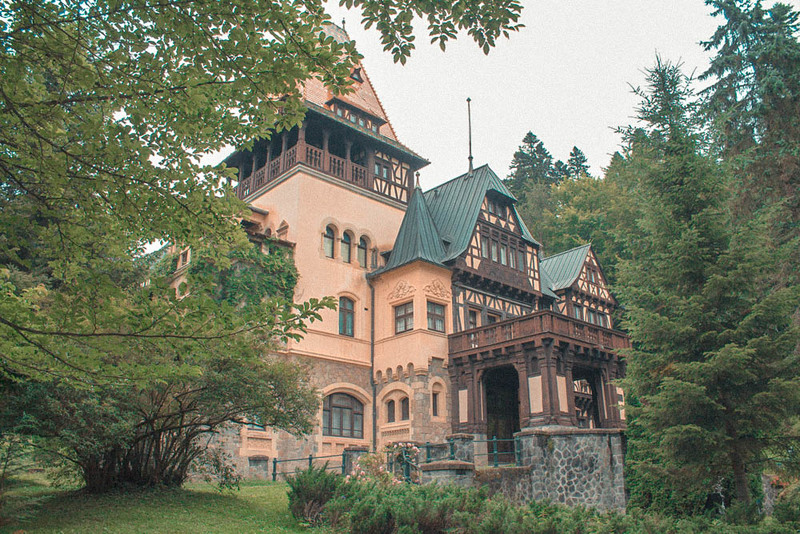 This castle was the project of King Carol I of Romania (1839-1914), who fell in love with the mountain scenery of the site. 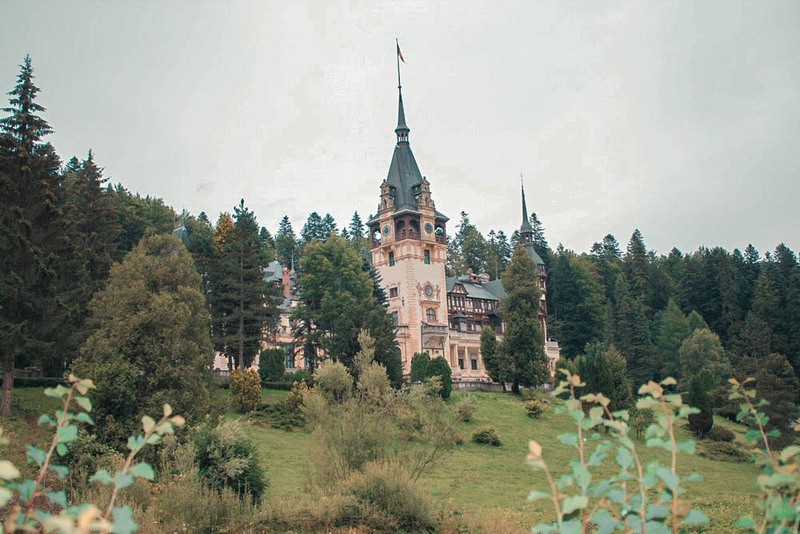 It was good that we arrived at Peleș Castle early in the morning – a lot of tourist buses are coming later at this place. 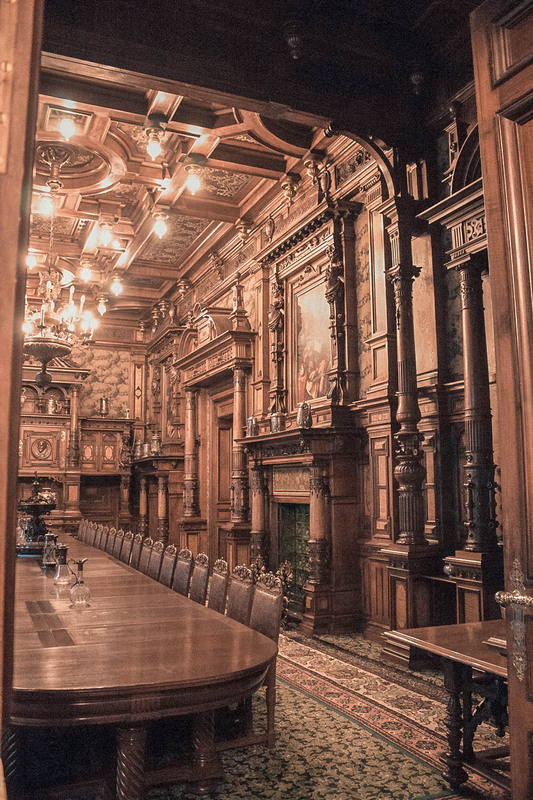 The inside of the castle was so beautiful with an impressive facade surrounded by mountains and forest. 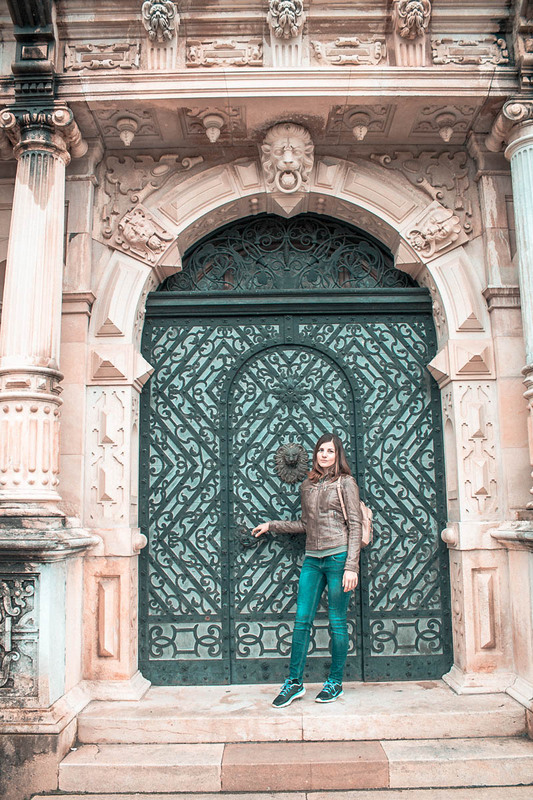 Now, I was going to see what’s hiding behind this beautiful royal door. 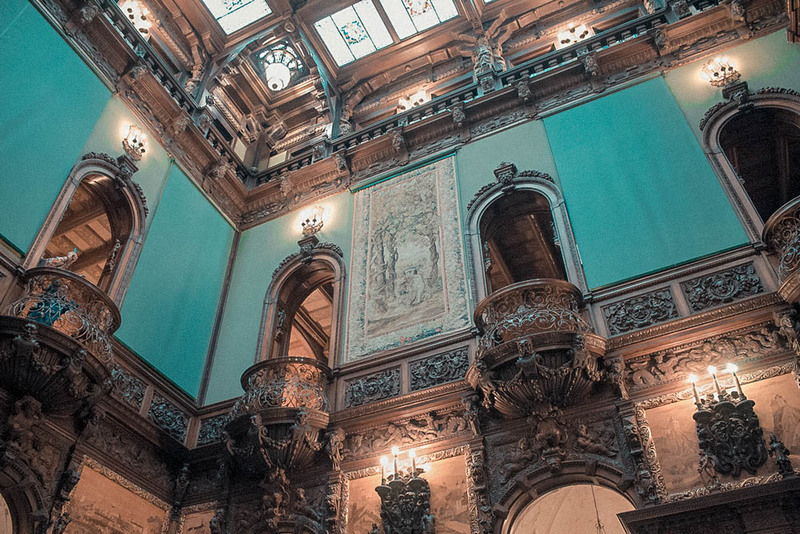 Anyway, castle or not, Peles really has an astounding interior. 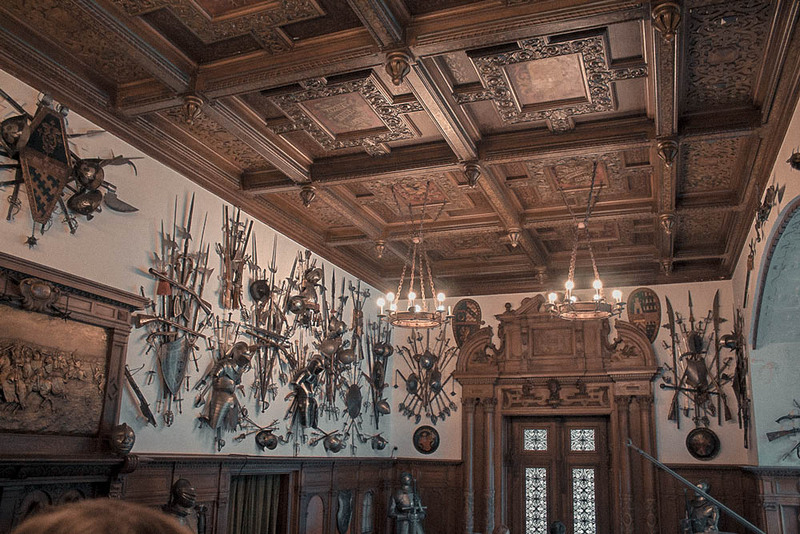 The collection of arms and armor in every room (over 4,000 pieces!) are so amazing and well-preserved. 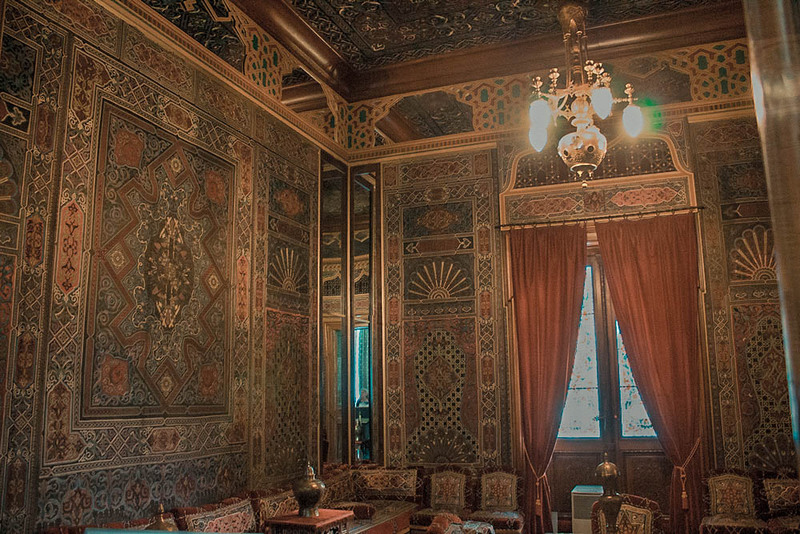 Every room also has a theme and obvious purpose. 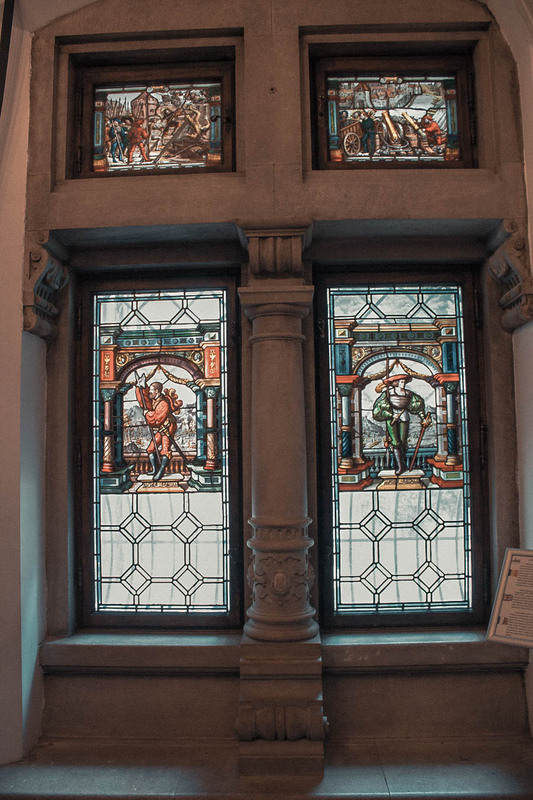 Some of the rooms even have cultural themes, reflecting on the times when Romania traded goods with neighbouring and far flung countries. It took us about 1 and 1/2 hour to explore the castle without the second flour. 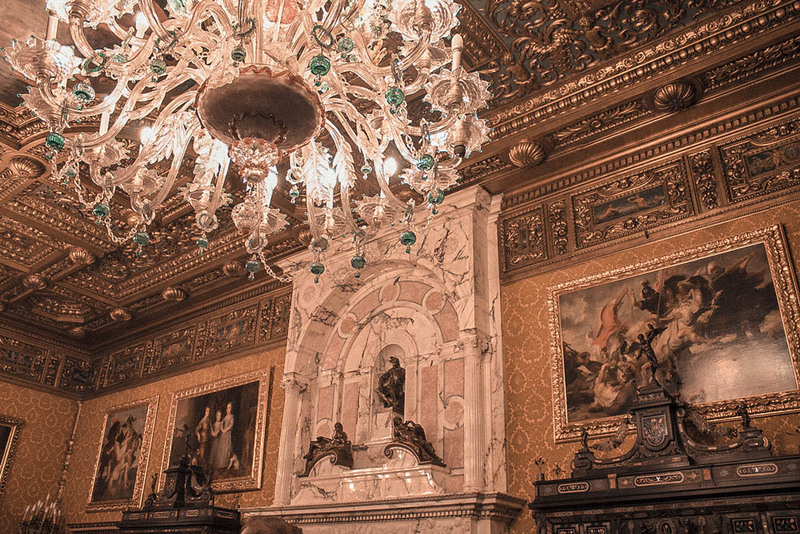 It was really very beautiful with so many details. 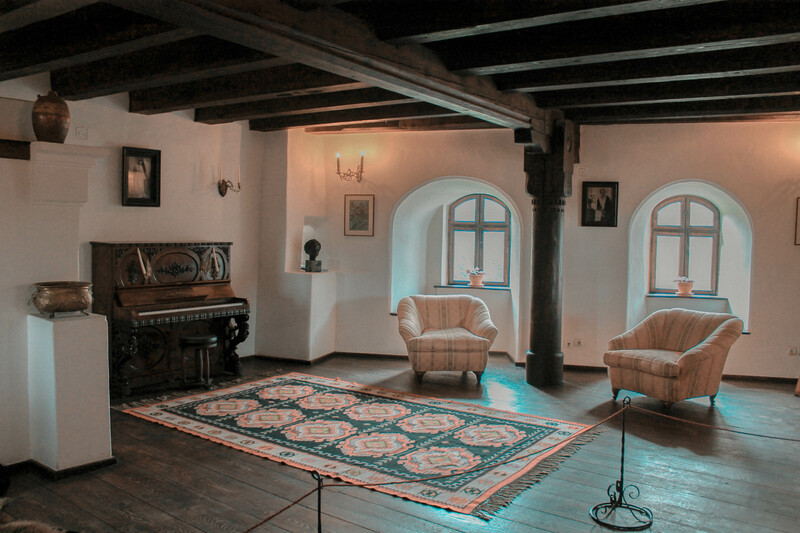 Now unlike Peles Castle, Bran Castle needs very little introduction. 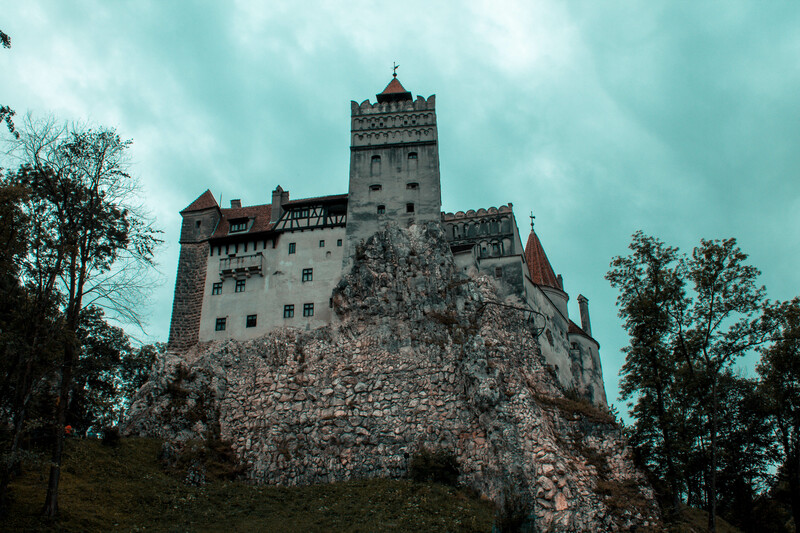 Almost everyone knows this as “Dracula’s Castle” and unfortunately, that is a completely wrong information brought about by Bram Stoker and tourism marketing that rode the fictitious hype. 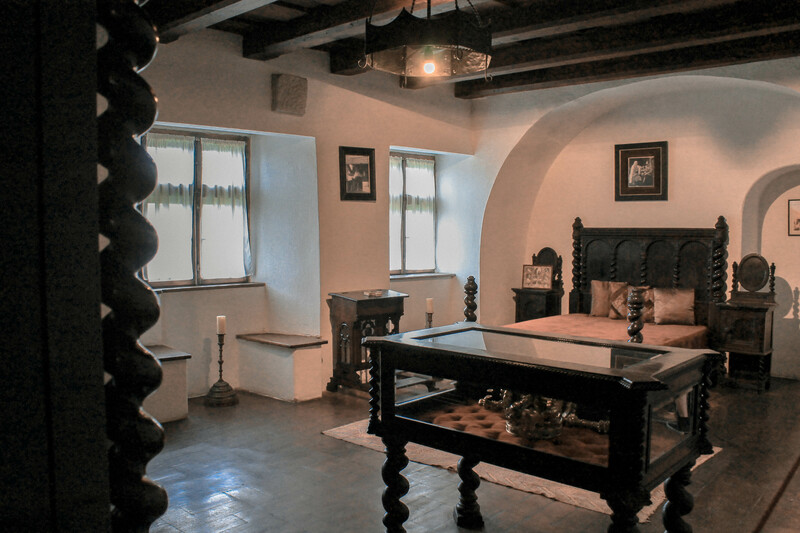 Bran Castle is atop a 200 foot high rock, and at the base of it lies stalls and stalls of ghoulish souvenirs. The Caslte has long been linked to the toothsome vampire. 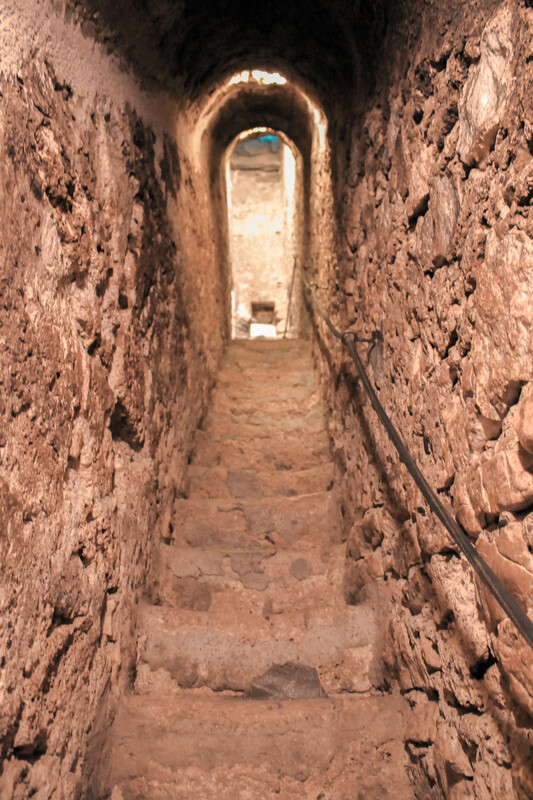 Constructed in the early 14th century, it is open to the public, who are able to peer into its creaky rooms and dark passageways. Most of the people will say that Dracula did not exist. And they would – rather obviously – be correct. The most famous vampire of all was, of course, created by the Irish novelist Bram Stoker in his iconic Gothic novel Dracula, published in 1897. 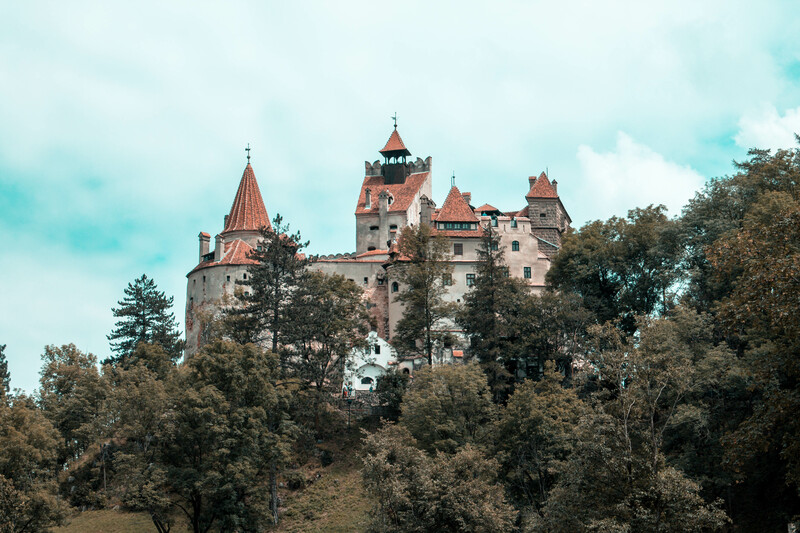 Stoker also never visited Romania – let alone Bran Castle, but used his imagination that his created character, Dracula lived in Transylvannia. And even though Dracula is a fictitious character, people made the conclusion that Dracula is actually Vlad Tepes (Vlad the Impaler), the Prince of Wallachia , who, during the Ottoman conquest of the Balkans led his army to protect Romania and infamously impaled his enemies during battles. And though Vlad Tepes really was an impaler, he was by no means a vampire. (Ergo: he is NOT Dracula!) 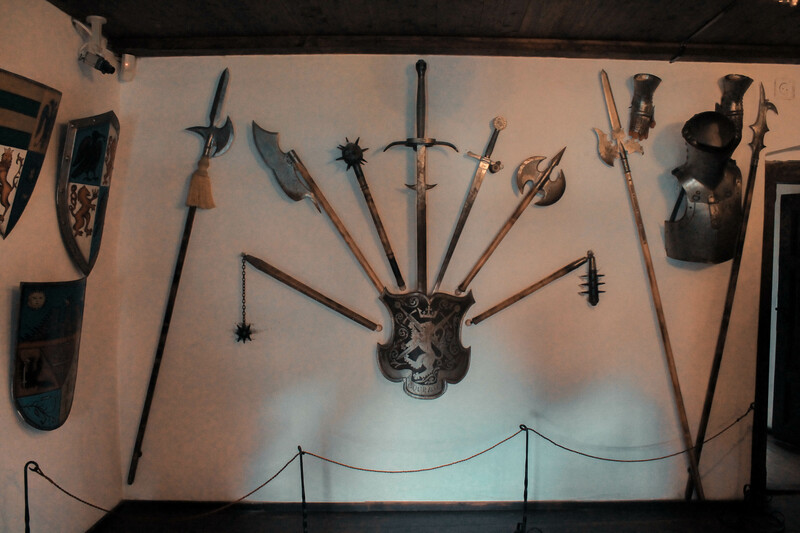 and the only relation he has with Bran Castle is the existing records that Vlad the Impaler was arrested near Oratia fortress, which is close to Bran Castle. 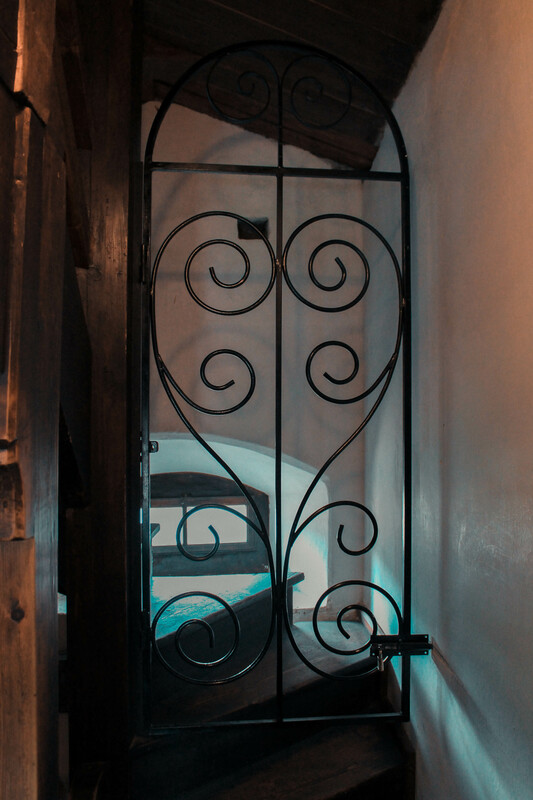 So he may (or may not) have been imprisoned in Bran Castle. 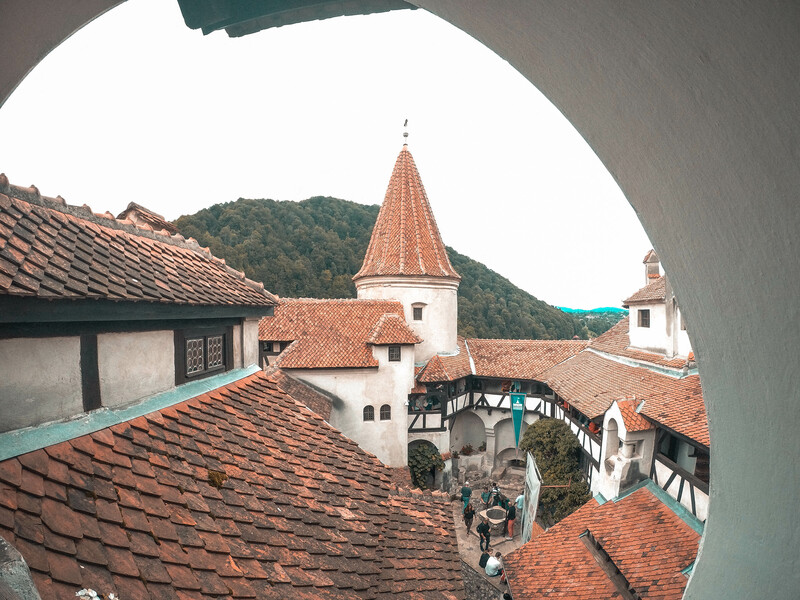 Nevertheless, for all the tourist trap hype that Bran Castle endured and is still carrying, it’s still worth your while to visit Bran Castle, especially with it being just an hour away from Peles Castle. 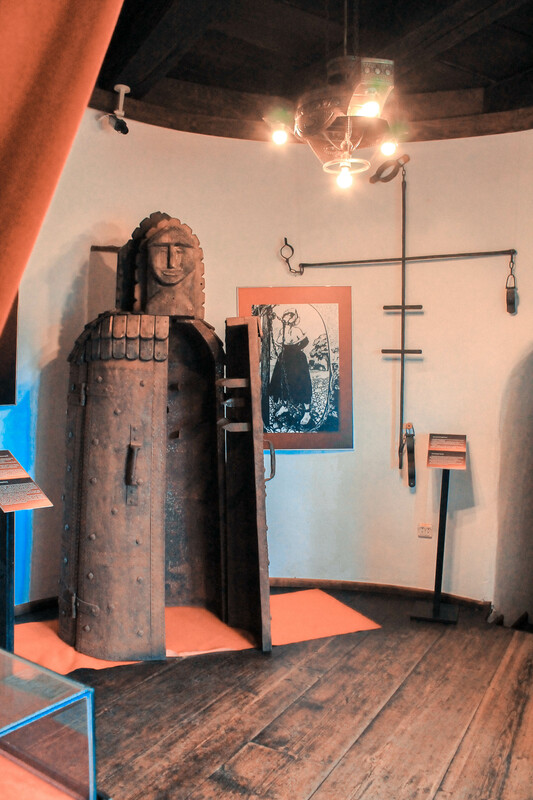 So both castles – Peles and Bran are very different from each other and one of the reasons for visiting Romania. 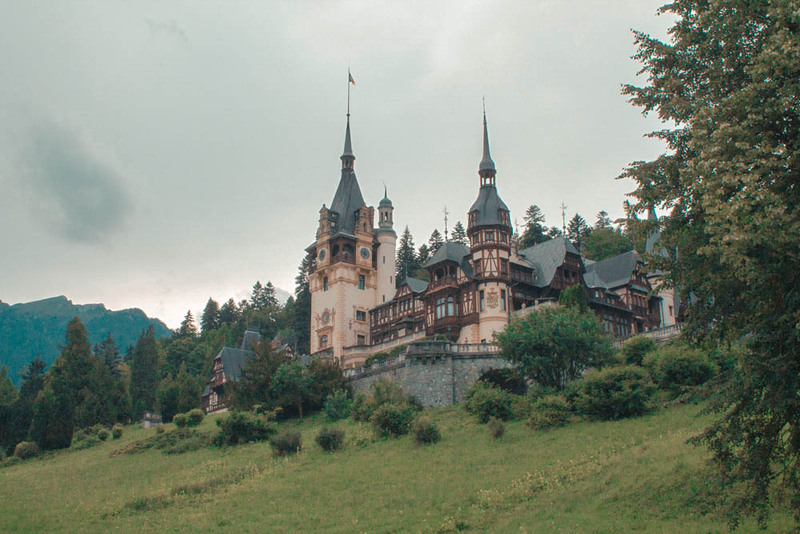 I heared first of Dracula Castle and after a short internet research I found out about Peles Castle. And I’m happy that we visited both castles. That was such an unforgettable experience! 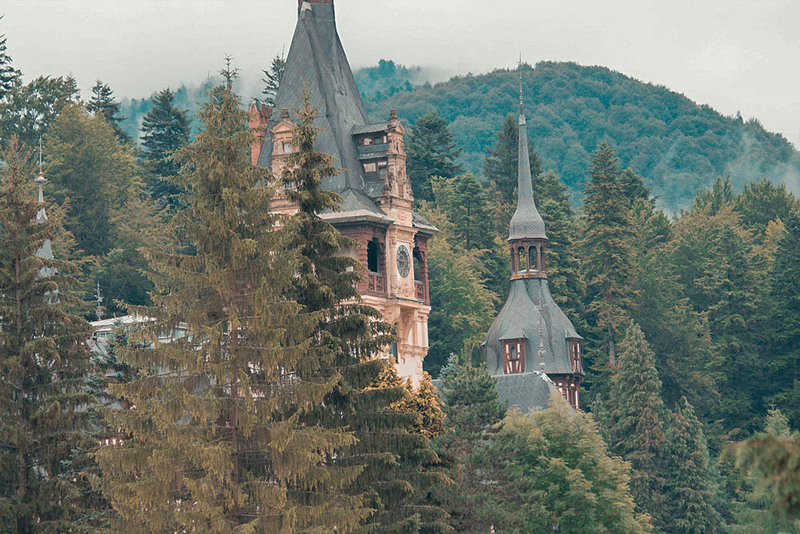 But honestly, Peles Castle was the one that stayed in our hearts. It’s much impressive and it contains much more well-preserved artefacts and areas to explore. 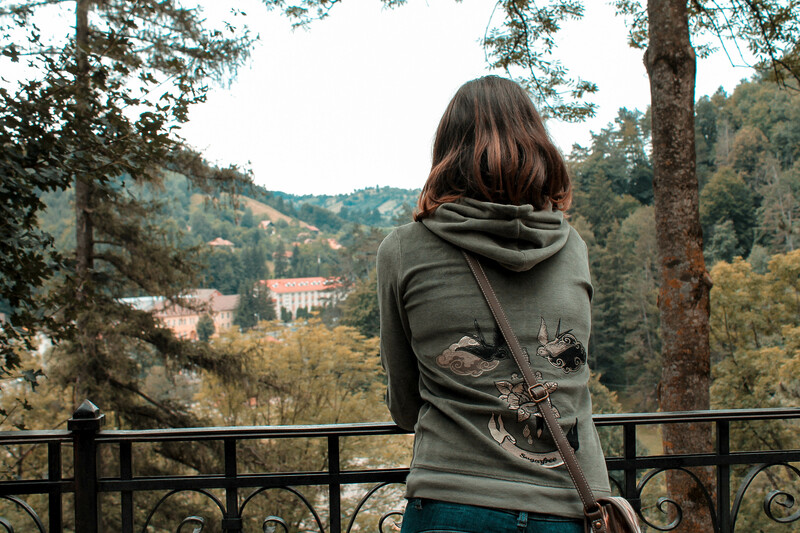 We arrived in Sinaia at late afternoon so we only wanted to have a walk and try to find Peles Castle only to see it from the outside. And we arrived to another amazing castle, that was just across the road from Peles. 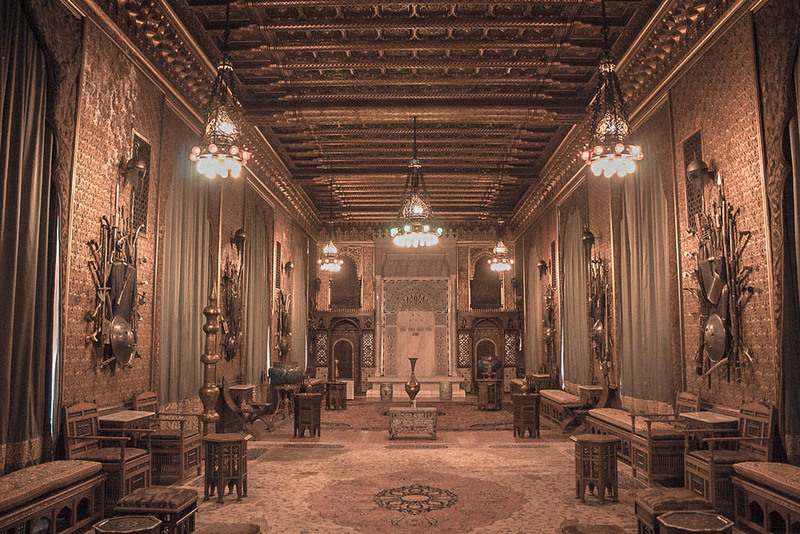 It was a smaller place where King Ferdinand I and his wife Queen Maria lived. 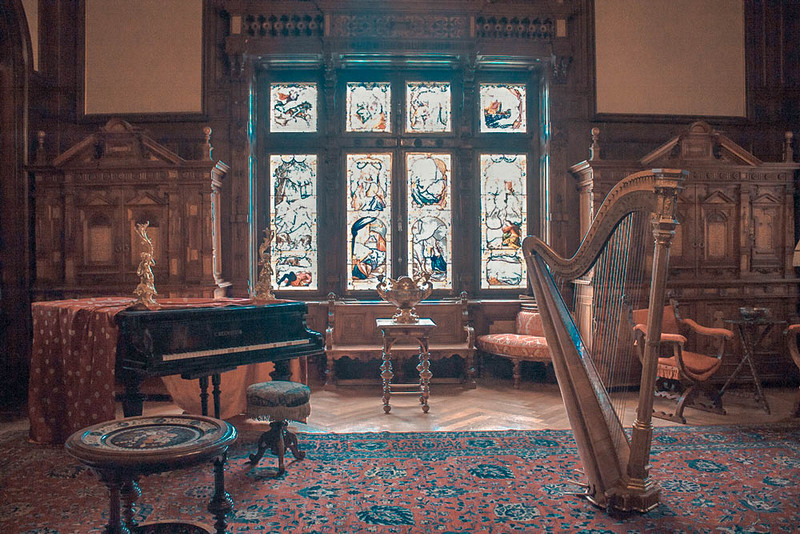 I think it’s very beautiful and worth visiting if you have more time or if you’re staying for the night in Sinaia. ♥ Arrive on time – Arriving early in the morning will ensure you a better experience when they’re less people. ♥ Take a light rain jacket in case it rains – There are no covered walkways from the car parking to both castle entrances. 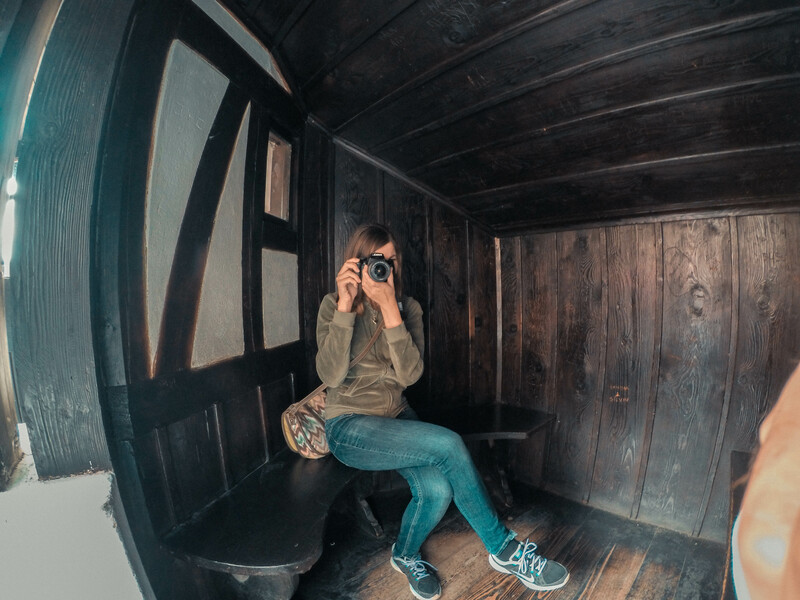 ♥ Don’t take too many cameras with you – There is an extra fee for every camera that you take inside. A separate fee for video cameras. 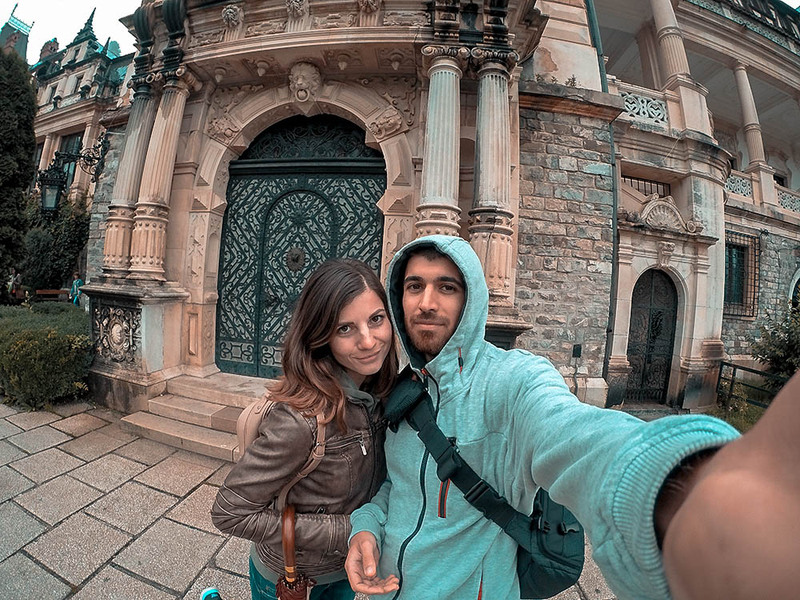 That was my awesome birthday experience – I spent the hole day exploring wonderful castles in Transylvania. It was such an unforgettable experience. For more of our Romania Visit you will find out here. So thank you guys for reading I hope you enjoyed this post and it was useful for you. If it was, you can give it a thumbs up and subscribe by writing your e-mail and you will receive a notification when we have a new post up on the blog with helpful and interesting information from new places like this one and this one. I will be also very happy if you leave us a comment bellow. Thank you!